Are multiple factors better than one? Market participants seeking to target the systematic equity risk premia associated with single factors should understand that historical performances for each factor have been cyclical and have experienced long drawdowns relative to the market. The active returns of each factor have generally displayed low or negative correlations, as they respond differently to the market environment and economic cycles. Hence, market participants adopting a multi-factor approach may reap considerable diversification benefits. Alternatively, market participants wishing to be selective about single equity factors may want to either have long investment horizons or high conviction in their decisions. 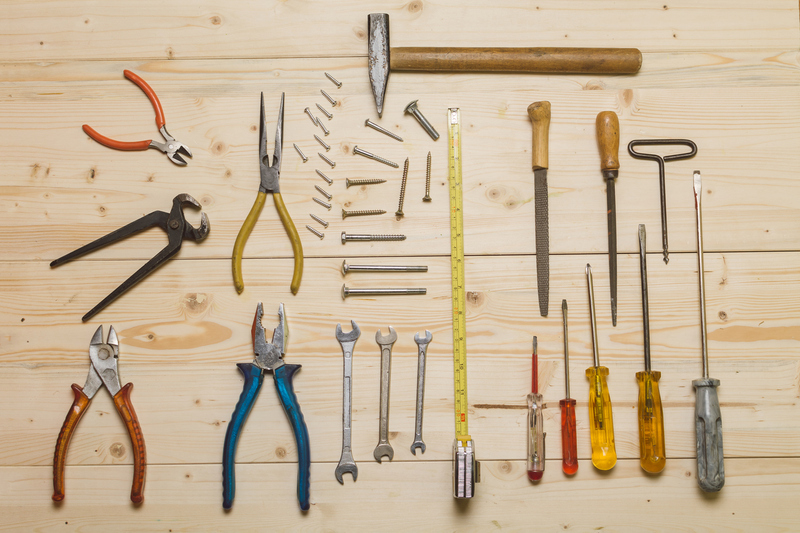 As an alternative to choosing between equity factors, multi-factor portfolios can be constructed to diversify factor risk. Market participants considering multi-factor investing should explore the differences between the index of indices approach and the stock-level multi-factor approach. Analysis shows that those wishing to minimize tracking error relative to the benchmark could have experienced higher probabilities of risk-adjusted outperformance over varying time horizons with a multi-factor index of indices approach. However, since exposure to desired secondary factors could be weak in each single-factor index, a multi-factor index of indices may experience some factor exposure dilution. The factor exposure dilutions inherent when simply holding multiple single-factor indices may be alleviated by opting to combine factor scores at the stock-level. 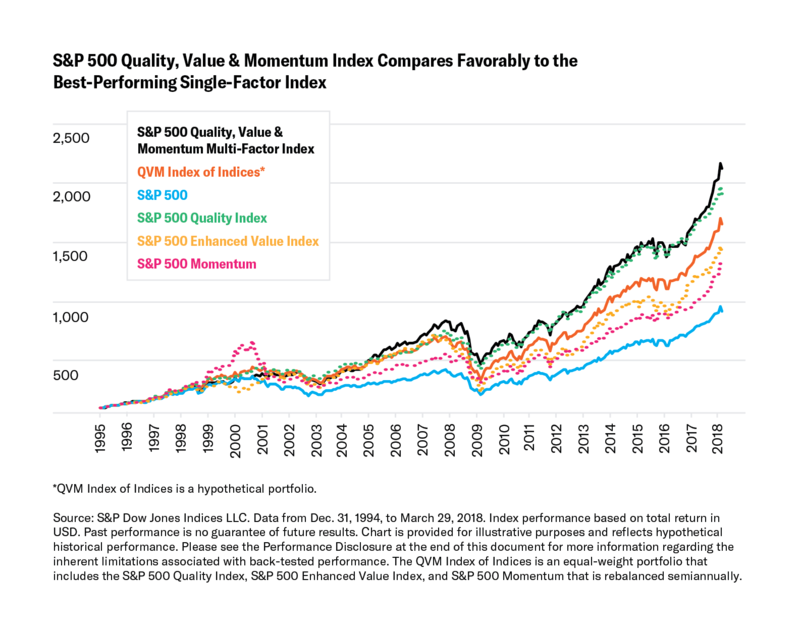 The back-test of the S&P 500 Quality, Value & Momentum Multi-Factor Index has demonstrated superior risk-adjusted returns of 0.75 over the average of the 15-year rolling windows compared to 0.56 for the hypothetical index of indices approach. This supports the view that the stock-level index construction approach may help reduce factor exposure dilutions, but it may come with the cost of increased tracking error (increased to 6.8% from 3.6% for the index of indices). For market participants without a factor viewpoint, both multi-factor approaches offered a viable alternative to the best-performing single-factor index. With both options offering a balanced exposure across multiple factors, the choice could be simplified to whether one wishes to maximize risk-adjusted returns on an absolute basis or relative to the benchmark. Ultimately, the decision between a multi-factor index of indices or stock-level selection approach depends on the market participant’s investment objectives. In short, multi-factor indices may help market participants avoid the potential pitfalls of choosing and timing factors without necessarily missing the upside that the best factor choice may have provided. The rising popularity and appeal of factor-based indices is pushing innovation within the space of multi-factor investing. Along with expanding the multi-factor index range to encompass even more regions, different factor combinations could also be applied. These could even extend to non-traditional equity factors, such as incorporating ethical and sustainability investment themes in the environmental, social, and governance (ESG) field. Other areas of progress could include sector-neutral, multi-factor indices that aim to match their sector exposures with that of the corresponding benchmark. Risk model-based optimization methods could also be employed to minimize (or target) tracking error while maximizing exposure to the desired factors. Advancements are also likely in strategies that isolate the factor risk premium. Market risk is a considerable portion of the overall risk in each of the multi-factor strategies discussed so far. However, the multi-factor risk premium can be isolated by taking a long position in the top quintile of multi-factor stocks and a short position in the lowest quintile. Alternatively, the overall market can be used for the short position, with its exposure matched to the beta of the long portfolio. As awareness of the potential benefits of multi-factor indices continues to grow, along with the needs of market participants, we can expect ever more interesting and useful index strategies within this area. For more insights on multi-factor investing and indices, go here.